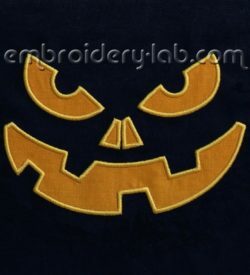 This category contains Halloween holidays machine embroidery designs. 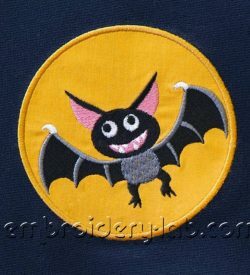 Code: bat 0001 applique Size: 118.2 mm x 116.6 mm (4.65" x 4.59") Please note that this design is a DIGITAL pattern only. 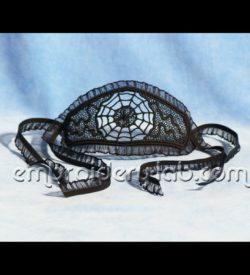 Code: bracelet spider 0001 Size: 160.0 mm x 62.2 mm (6.30" x 2.45") Please note that this design is a DIGITAL pattern only. 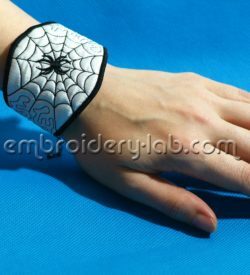 Code: bracelet spider lace Size: 156.6 mm x 67.8 mm (6.17" x 2.67") Please note that this design is a DIGITAL pattern only. Code: dark eyes 0001 Size: 143.0 mm x 39.0 mm (5.63" x 1.54") Please note that this design is a DIGITAL pattern only. Code: dark eyes 0002 Size: 184.4 mm x 44.0 mm (7.26" x 1.73") Please note that this design is a DIGITAL pattern only. 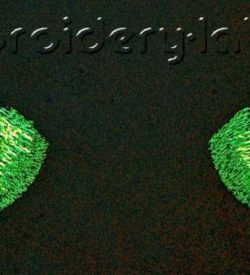 Code: dark eyes 0002 small Size: 125.8 x 30.2 mm (4.95 x 1.19") Please note that this design is a DIGITAL pattern only. 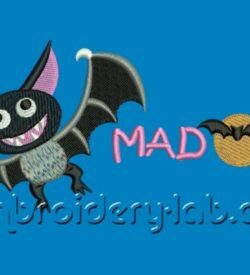 Code: inscription_ mad_bat_2_colours Size: 103.1 mm x 22.8 mm (4.06" x 0.90") Code: inscription_ mad_bat_3_colours Size: 103.0 mm x 22.8 mm (4.06" x 0.90") Please note that this design is a DIGITAL pattern only. 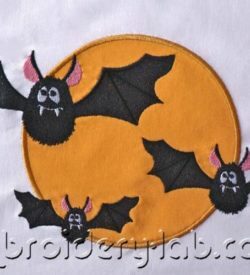 Code: bats 0001 Size: 249.6 mm x 140.4 mm (9.83" x 5.53") Attention! This design is suitable for hoop size 260.0 mm x 160.0 mm (10.24" x 6.30") and can NOT match a standard hoop. Please note that this design is a DIGITAL pattern only. 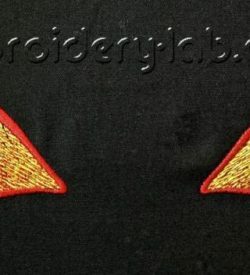 Size: 170.7 x 116.3 mm (6.72 x 4.58") Please note that this design is a DIGITAL pattern only. 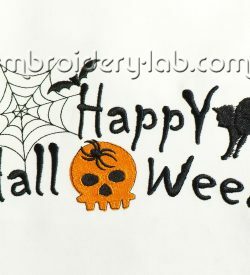 Size: 198.6 x 124.4 mm (7.82 x 4.90") Please note that this design is a DIGITAL pattern only. 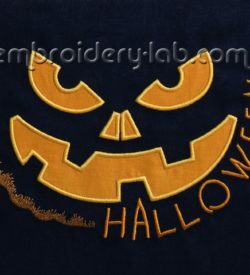 Size: 240.4 x 103.0 mm (9.46" x 4.06") Code: happy_halloween_inscription Size: 155.8 mm x 64.4 mm (6.13" x 2.54") Code: happy_halloween_pumpkin Size: 104.8 mm x 103.0 mm (4.09" x 4.06") Please note that this design is a DIGITAL pattern only. 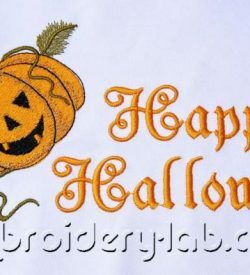 Size: 197.6 x 91.4 mm (7.78 x 3.60") Please note that this design is a DIGITAL pattern only. 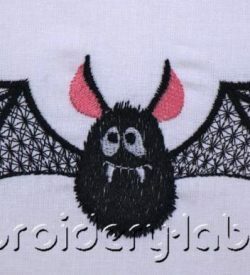 Code: large bat 0002 Size: 163.8 mm x 67.6 mm (6.45" x 2.66") Please note that this design is a DIGITAL pattern only. 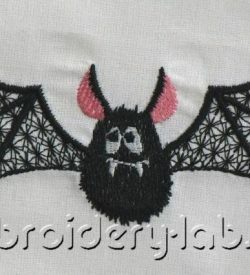 Code: medium bat 0002 Size: 116.7 mm x 48.6 mm (4.59" x 1.91") Please note that this design is a DIGITAL pattern only. 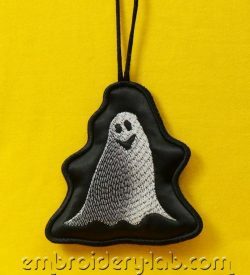 Code: pendant ghost 0001 Size: 88.6 mm x 93.6 mm (3.49" x 3.69") Please note that this design is a DIGITAL pattern only. 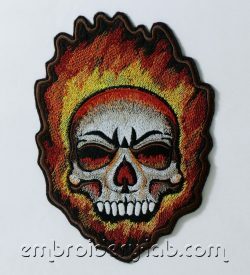 Code: skull applique 0002 Size: 139.2 x 191.6 mm (5.48 x 7.54") Please note that this design is a DIGITAL pattern only. 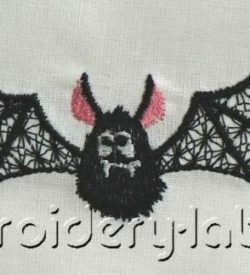 Code: small bat 0002 Size: 83.3 mm x 35.0 mm (3.28" x 1.38") Please note that this design is a DIGITAL pattern only. 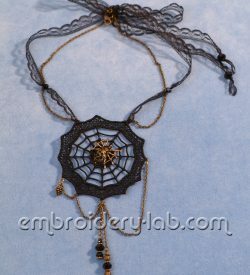 Code: necklace spider web Size: 87.2 x 87.2 mm (3.43 x 3.43") Please note that this design is a DIGITAL pattern only.